A child's expression can tell a whole story. 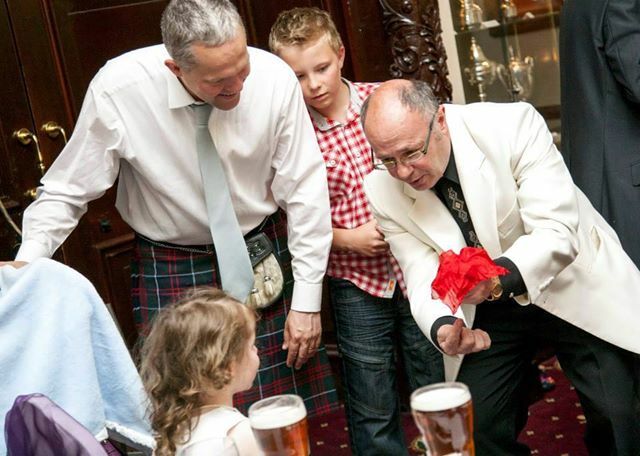 In addition to his other talents, Kevin can provide first class table and close-up magic for you. You may be kidded with a card trick, bamboozled by bands or confused by coins. The delightful frustration as he surprises you again and again will be the talking point of your party or event for years to come. At certain times of the year, Kevin is particularly in demand, so book as soon as possible. Make the very best of your function, and book Kevin Jay today.